There are many reasons to visit Macao. It’s a short and easy ferry ride from Hong Kong. If you love luxury hotels or gaming, then this is the place for you. The city also has a rich history, as demonstrated by the UNESCO-recognized center city. These are all great reasons to visit Macao, but one of the major highlights for me had nothing to do with these other qualities, it was all about the food. 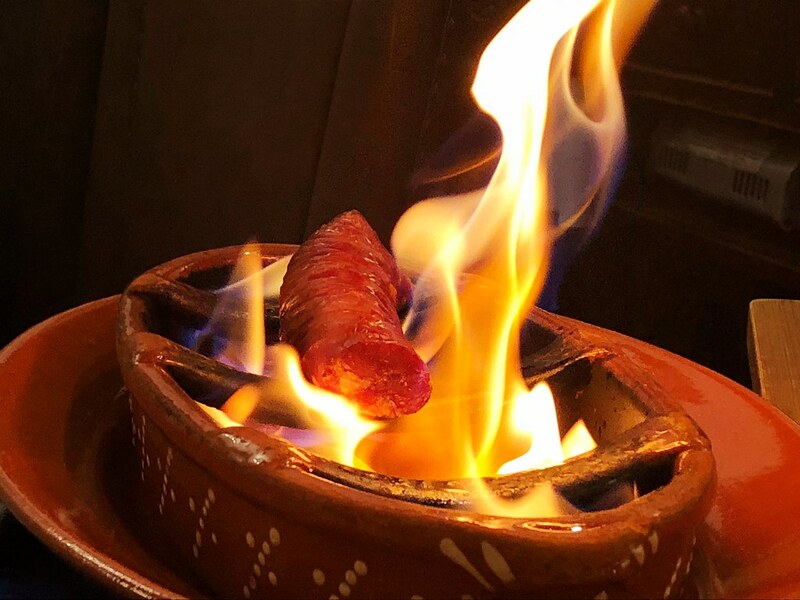 Thanks to a centuries-long relationship with Portugal, as well as its strategic location in Asia, Macao has long benefited from the culinary traditions of other parts of the world. Over time these traditions have melded into a very unique culinary experience in Macao, which I want to share today through five incredible but also very divergent dishes I enjoyed during my time in the city. If you enjoy luxury travel, there may be no better place in the world to visit than Macao. Home to more 5-star hotels than any other city on the planet, there are plenty of ways to be spoiled, but especially when it’s time to enjoy a fine-dining experience. Again you are spoiled for choice, but one of my favorite experiences was at the very remarkable Jade Dragon. 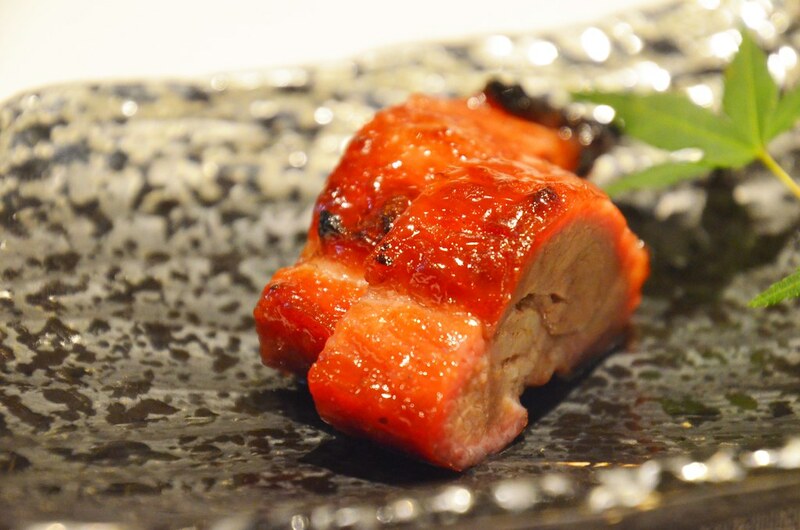 Located in the City of Dreams complex, this 2-Michelin star restaurant is routinely named one of the best in the world thanks to its creative interpretations of traditional Chinese cuisine. Treated to a tasting menu, everything I enjoyed that afternoon was amazing, but the culinary highlight for me was the house-perfected Iberico pork. Barbecued over lychee wood, a variety of cuts are available and it is honestly best enjoyed on its own. It’s an expertly prepared dish that will leave you wanting for more. Add in an exquisite space with plenty of gold, jade and ceramics, and this is the perfect introduction to fine dining in Macao. The one thing I knew before first visiting Macao was that I had to try one of their famous egg tarts. While similar to the Pastel de Belem of Lisbon, they are not the same dessert at all and are a true Macanese original. Lord Stow’s Bakery opened in 1989, introducing the egg tart with a pale filling and caramelized top to locals and a new tradition was born. A creamy custard filling and flaky, hand-made crusts are truly what separate these pastries from others and from personal experience I can attest to just how delicious they are. What started in a small shop now very much defines the city, just make sure you try the original version when you visit. Loosely based on Portuguese traditions, Macanese cuisine uses spices and ingredients from Africa, Southeast Asia and India – including curry, coconut milk, cloves and cinnamon – which are combined using Chinese culinary skills in a wonderful potpourri of tastes and aromas, giving birth to the uniquely delicious Macanese cuisine of today. African chicken is perhaps the most famous dish, but my favorite was a hash of sorts called Minchi. Originally made by using what was around the kitchen, it’s a combination of meat, potatoes, spices, rice and egg and was usually cooked by parents looking to feed their large families. 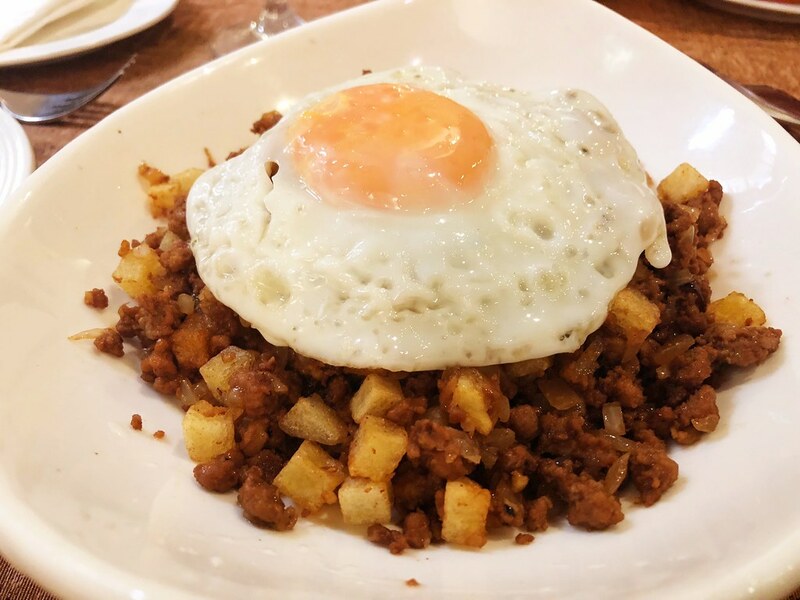 It’s been embraced again though by traditional restaurants in the city and for me, is the star of Macanese cuisine. UNESCO has even recognized Macao for its very unique culinary history and to enjoy it in person is just one of those experiences everyone has to try at least once. Chef Antonio is a character, of that there can be no doubt. 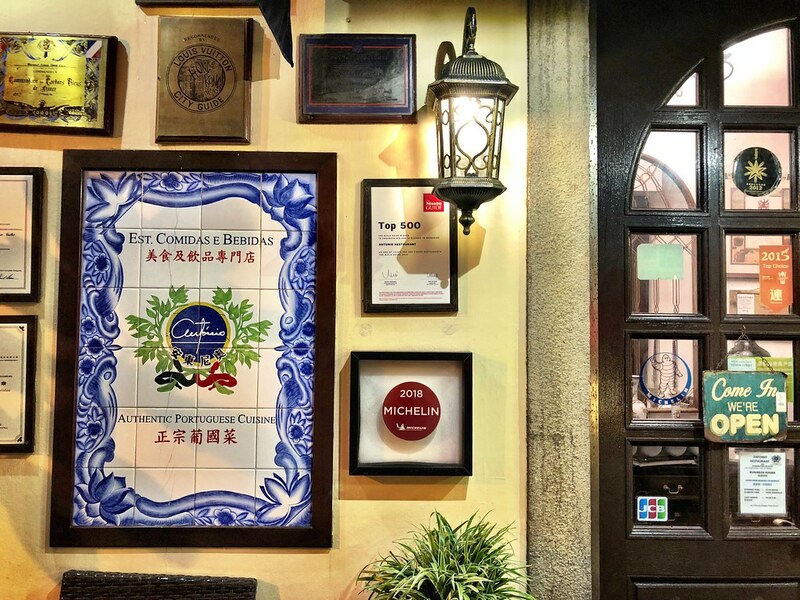 There’s also no denying that his Portuguese restaurant located in Taipa Village Macau is one of the best in the city. Chef Antonio opened his eponymous restaurant in 2007 after a career in the Portuguese military, and walking into the cozy space I could just as easily have been in Porto or Lisbon. Everything, and I mean everything, in the restaurant comes from Portugal. The tiles, the artwork, many of the ingredients, the wine, even the music is all from Antonio’s mother country. While somewhat unlikely, he has created one of the world’s great classic Portuguese restaurants, all in the steamy Asian city of Macao. I spent an evening with Chef Antonio, enjoying his amazing food and listening to his stories and the net effect was nothing short of magical. It’s also a great representation of just how unique Macao is, and how it honors its past in ways that are unusual but welcome. As much as I enjoyed my fine dining experiences in Macao, I never seem to stray too far from my true culinary love – casual local eats. There’s nothing better than grabbing a quick lunch at a food stall or small restaurant, or joining locals at a neighborhood restaurant in the evening. In Macao I experienced both of these culinary events, starting with the pork chop bun. As simple as it gets, fried pork on a roll, this on the go lunch has very modest roots but is one of those bites anyone who lives in Macao knows well. My favorite experience though happened in the Coloane Village neighborhood. After grabbing an egg tart at Lord Stow’s, we ambled a couple of blocks away to a local restaurant that was as nondescript as it gets. If it has a name I never learned it, but it didn’t matter. Immediately the owner came over offering us shots of whiskey, before sharing course after course of homemade dishes made with a lot of heart and love. It may not have been the most fancy of meals, but it was definitely my favorite. There are any number of reasons to spend time exploring Macao, but food should be at the center of that experience. Thanks to centuries of cross-pollination with dozens of other cultures, the resulting food landscape is nothing short of amazing.